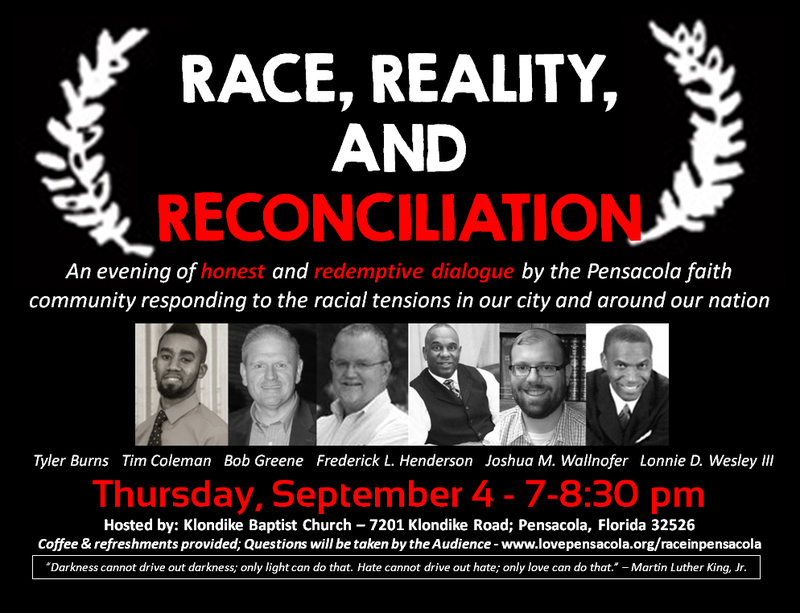 Our church was honored to hold this event, which was an evening of honest and redemptive dialogue by the Pensacola faith community responding to the racial tensions in our city and around our nation. We are glad to provide the discussion via youtube, and will seek to have more of these discussions in the days ahead. Here is the short link: (http://youtu.be/JMwZjQGoPlE) Find the video below.